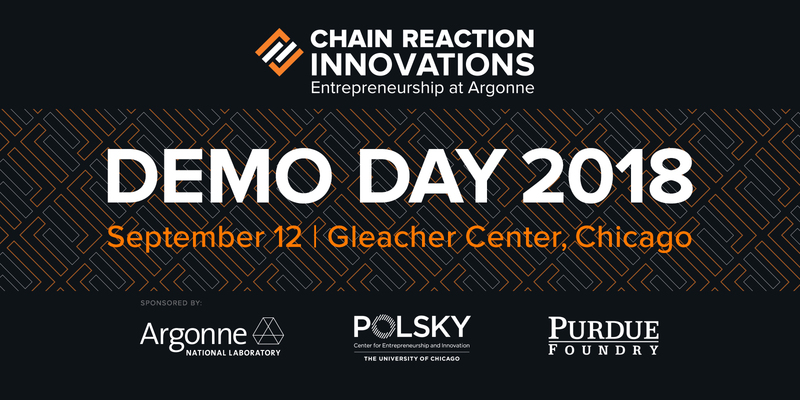 September 12, 2018 5:00 p.m. to 8:30 p.m.
Chain Reaction Innovations, the Entrepreneurship Program at Argonne National Laboratory, will be holding its first Demo Day from 5:00 p.m. to 8:30 p.m. on September 12, 2018 at the Gleacher Center in Chicago. Four teams from Chain Reaction Innovations Cohort 1 will be showcasing their technologies and emerging companies to potential investors and the energy community. CRI is the Midwest’s first entrepreneurship program to embed innovators in a national laboratory.